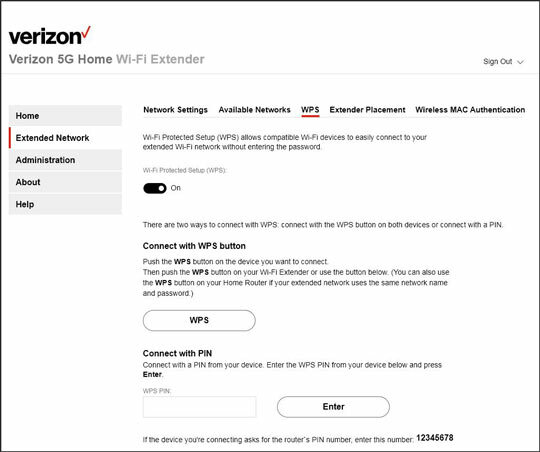 También puedes connect using WPS from your My Verizon app. WPS must be capacitado from the Admin to use WPS. 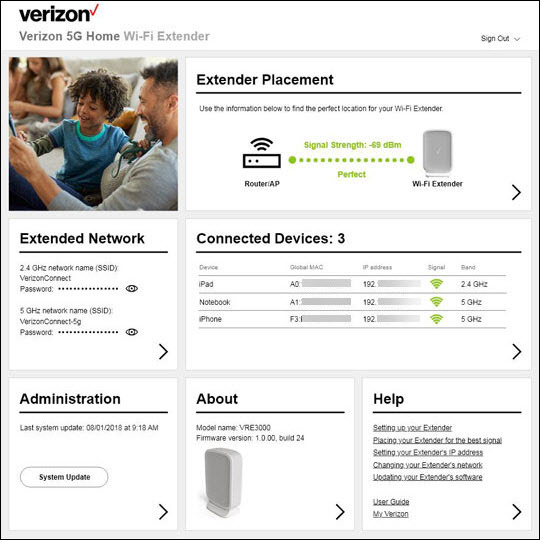 Wi-Fi Protected Setup (WPS) allows new wireless clients (devices) to be added without having to enter any wireless credentials (network name, password/key); the wireless client must support WPS. 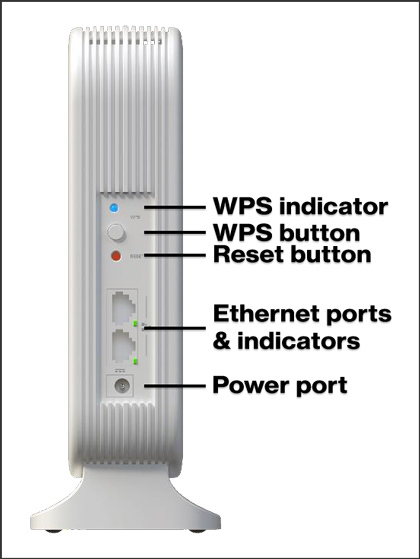 From the back of the extender, locate the WPS button. Press the WPS button for at least 2 seconds to start the pairing process. The WPS indicator LED on the back blinks slow blue for two minutes before the WPS setup process is timed out. The WPS indicator LED on the back blinks fast blue if there is a pairing error. Refer to Indicadores de estado LED cuando sea necesario. You must be connected to the extended network to access the admin page. From the Extended Network panel, click the Arrow icon . From Extended Network, click the WPS tab. Ensure the WPS switch is in the on position. From WPS, click the WPS button to start the pairing process. Alternatively, enter the PIN from a WPS enabled device then click Enter.